Allie’s Experience with Audio Description at Incredibles 2! Hello everyone! Hope this blog post finds you having a lovely day. My name is Allie, and I joined the Actiview team a couple of months ago. I have enjoyed getting to know all you awesome Activiewers! I am grateful every day for the passion and excitement you have for entertainment and accessibility. Although I had some experience in the entertainment industry before I joined Actiview, I must say I wasn’t completely familiar with all of the accessibility technologies that exist for people to fully enjoy movies. Since working at Actiview, I have had a great time learning about and experiencing the accessibility services we offer like Amplified Audio, Closed Captions, Translations, and even Sign Language interpretations of movies. While trying out accessibility services on various movies, I found that one of my absolute favorites is Audio Description. Icons of the accessibility solutions that the Actiview App offers (left to right) — Audio Description, Closed Captioning, Amplified Audio, Sign Language, and Translations. As you can imagine, we listen to a lot of Audio Description tracks here at Actiview. We love them, and we work every day to make more and more tracks available for everyone. A couple of weeks ago I wrote a blog post to explain what Audio Description is, and why it’s important for people who are Blind/Low Vision. One thing I wanted to share though, is just how awesome Audio Description tracks are, and how they have really enhanced my movie-going experience as well. 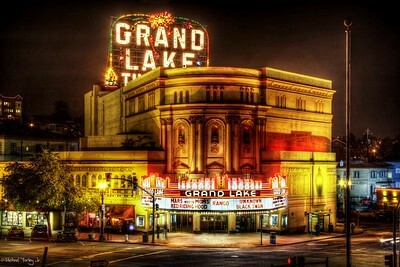 Photo of Grand Lake Theater in Oakland, CA. 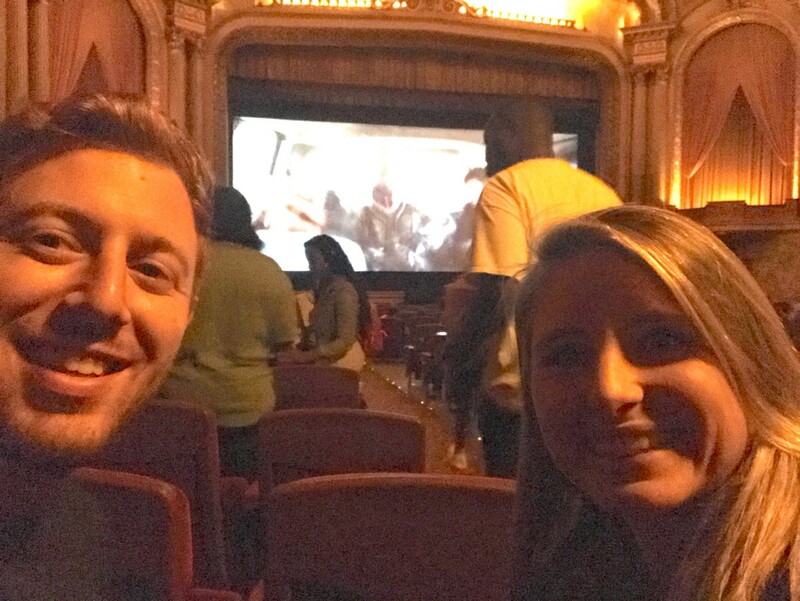 Last week, Alex and I went to watch Incredibles 2 at Grand Lake Theater in Oakland. (Side note: Grand Lake is one of our favorite theaters! Lots of time was spent there in the early Actiview days.) When we arrived, the theater was packed with people of all ages excited to see the new movie. As you know, it’s been a long time since the first Incredibles was released. 14 years in fact! Alex and Allie from Team Actiview getting ready to watch Incredibles 2. I made sure to download the Audio Description and Amplified Audio tracks on my phone before I got there so I was all ready to watch the movie accessibly. When the movie started, I synced the tracks with the movie audio and the Audio Description started playing through my headphones. Great start so far! By now I have listened to many Audio Description tracks. But I have to say, I was completely blown away by the Audio Description for the short animation at the start of Incredibles 2. No spoilers! But the short had no dialogue. There was only music, so if you weren’t able to see what was taking place on screen, you wouldn’t be able to follow what was happening. Photo from Bao, the animated short before the Incredibles 2 movie. 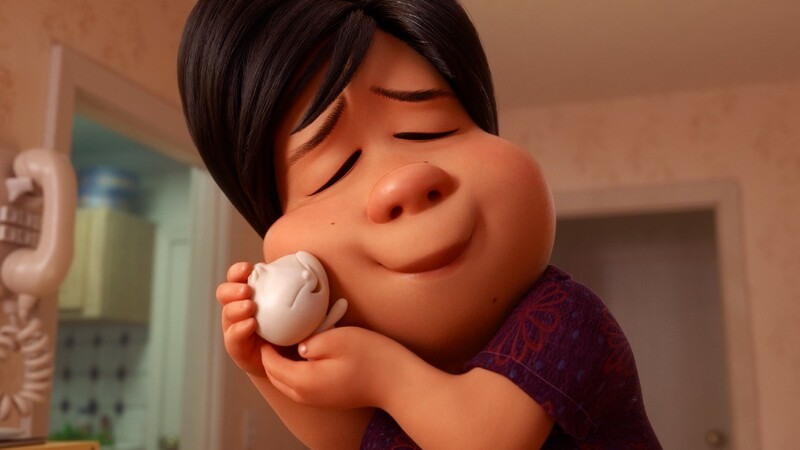 A woman (“Mom”) hugs a dumpling (“Bao”). What was super cool though, was that the description of the scenes was so accurate and compelling that I was actually able to better understand the unspoken story because of the Audio Description. When the narrator talked about “Mom’s” feelings, I really was able to feel how she felt. And when “Bao” was beginning to change and grow, the narrator explained it in a way that hit home more than when I was just watching the visuals. Experiencing Audio Description with a film that had no words was such a cool experience and was a great way to start the movie. I won’t give anything away, but I must say that it got even better from there! I kept my Audio Description on for the whole movie and loved every minute of it. Audio Description is a much needed accessibility service for people who are Blind / Low Vision. I have also found that it is a really helpful and unique way to experience movies in general. I love that Audio Description helps me catch nuances that I would otherwise miss, and I can even stay in the loop with what’s happening in the movie if I need to go for a popcorn run :) I can’t wait to use Audio Description again on the next movie. If your curious about Audio Description, or even if you’ve never even heard about it before reading this post, I encourage you to try it for yourself! It’s a great way to experience a movie in a new way. You can check out Audio Description tracks for Incredibles 2 and Solo: A Star Wars Story, which are available now on the Actiview app! Download the Actiview app and experience Audio Description today. 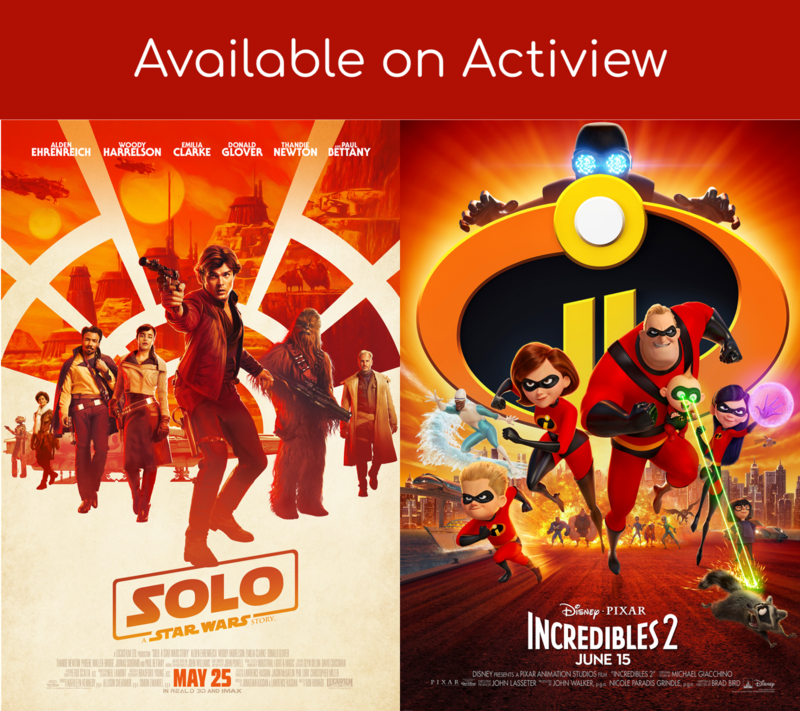 Solo: A Star Wars Story and Incredibles 2 movie posters with “Available on Actiview” text. After you try it out, send us a note at team@actiview.co to let us know what you think! Can’t wait to hear about your experience.